Old Default - Beta Edition is a 16x16 texturepack for minecraft. The textures are all from the beta of minecraft and the sounds too. For the old nostalgy of minecraft. For more informations visit the official website. If you find bugs please report them. Thanks! If you have questions, ideas or bug reports please write me through the comments. I can speak English and German. I have an idea. 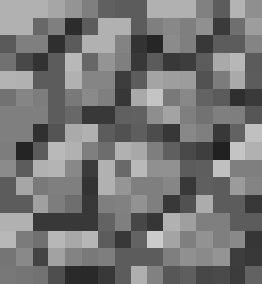 What if all the textures were the beta minecraft style, so like for the 1.12/1.13 update, you could make everything clash a little more, like concrete would have more of a range than it does now. And since no blocks had a grid, I would get rid of the grid on quartz too. Whenever I try to download it, it keeps saying failed - virus detected. AWESOME!! I love the beta textures but want to play with them on the later versions! thanks! I just typed in beta, saw this, and had an idea I wanted to share with the creator. I've got enough of the beta textures in my evolution series in YouTube. I'm MandMs05 there too. And ingame. And pretty much everywhere. And is it possible to add the Dirt Background, just like the old beta? Oh wow, these are very classic and full of memory. In a good way! Is the old lava/water texture used? I'm gonna add this to my list of packs to try out! Thank you ^^ Today (10 minutes ago) I've updated the texture pack. The old lava, water, iron blocks and Diamand blocks are now splashing around in textures pack. Don't worry, I understand you just fine :D Also old Gold blocks included? Those were always fun and silly. Thanks by the way!